This Sunday is “Selection Sunday,” and shortly there after the MADNESS will begin. I find myself reminiscing on the past years and how I fared in various NCAA pools. My success and failure has sure been a rollercoaster ride. I’ve picked some great upsets, and got burned on a few favorites, but none the less it’s one of the most fun times a year for any true sports fan….the crushing defeats, the bracket busters, the buzzer beating “hail mary’s”, and the glory of picking the winner that no one saw. 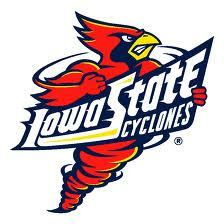 2001 IOWA STATE: That year Iowa State was a #2 seed out of West Regional with a 25-5 overall record. Here I thought that rather than take a #1 seed, which everyone seems to take, maybe buck the system, and come out with a decent team that no one else in my pool would pick. Well, as you may have guessed, they lost, but it wasn’t in the championship, the final four, or even the regional semi’s, they lost in the first round to the #15 seed Hampton Pirates! I still remember, it was the night before I left for Arizona for Spring Training with my friend John, let’s just say it was a LONG FLIGHT and a LONG WEEK! 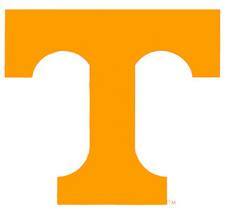 2006 TENNESSEE: It was Bruce Pearl’s first year at Tennessee, and I bought into his whole way of coaching because of his success here in Milwaukee. 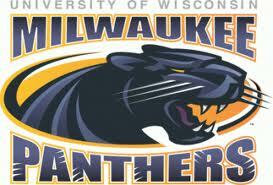 The year previous he coached (my alma mater) UW-Milwaukee to the Sweet Sixteen and seemed to me to be a genius. All I could think was get me my brackets!! With out a second thought I filled it out, the Volunteers were going to be NCAA Champs, and I was going to collect the “green.” That didn’t happen, the #2 ranked Tennessee barely got out of the first game against #15 Winthrop (63-61), before losing in the second round to #7 Wichita St. (80-73). 1997 CINCINNATI: The Bearcats were a #3 seed with a 25-7 regular season record. Bob Huggins had some sort of spell on me for a few years, and his teams lost me a few NCAA pools. For some reason I picked them again in ’97, with the same thought process of staying away from the #1 seeds, so I would be standing alone if my team took everything in the end. Cincy got out of their first game against #14 Butler(86-69) and was looking strong. The second round was different story and lost heartbreaker 67-66 to #6 Iowa State. 2005 UW-MILWAUKEE: It was Bruce Pearl’s last season of magic in Milwaukee. They came into the tournament STRONG, boasting a 24-5 record. The Panthers were a #12 seed, and promptly beat up on #5 Alabama by 10 points (83-73). Then came Boston College. The Eagles were a #4 seed, but were no match for hot shooting Panthers and lost 83-75. Cinderella’s slipper broke when UWM took on #1 seed Illinois and lost 77-63. The reason why this is the “bridge” for me, is because of my loyalty I picked UWM to go as far as they did, which netted me points, but their lost, and no amount of points in the pool could mend the wounds. 1987 INDIANA: Bobby Knight’s team was a machine and held the #1 seed in the Mid-West Region, and came in with a 24-4 record. Everything went as planned, right down to the end when junior college transfer Keith Smart hit the jumper with :05 on the clock at the Louisiana Superdome giving the Hoosiers a 72-73 win over Rony Seikaly and the Orangemen of Syracuse. It also gave the “General” his third and final National Championship. 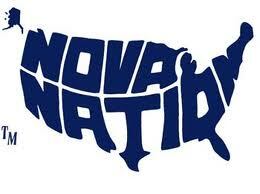 1985 VILLANOVA: By far this has been, and will always be my BIGGEST WIN, and hold a special place in my heart. The Wildcats came into the 64 team tournament (it was expanded from 53 the previous year) unranked and the #8 seed in the Southeast Region with a 19-10 record. I picked them to win it all which they did. Looking back on it, I don’t know how or why I did. I had won 79% of the games in that pool! Something I have not seen since. It’s a tournament I will never forget, three teams out of the Big East making it to the Final Four, the Wildcats facing Georgetown for the third time that season (the Hoyas won the two regular season games), ‘Nova shooting lights out with 22-28 from the field and missing only one shot in the second half. It was AWESOME! Final score Rollie Massimino’s Wildcats 66, John Thompson’s Hoyas 64. That’s all it took, it was my first NCAA pool, I was hooked, and March Madness has become a MUST SEE T.V. for me ever since! This entry was posted in sports and tagged Cincinnati, Indiana, Iowa State, March Madness, NCAA, Selection Sunday, Tennessee, UW-Milwaukee, Villanova. Bookmark the permalink. 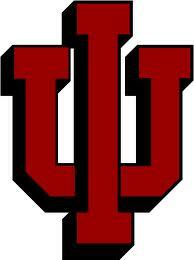 The title is coming back to the Big Ten (OHIO STATE)!!!!!!!!!!!!!!!!!!!!!!!!!!! Too bad there wasn’t any $$$ involved in that 1985 pick! It sounds like it has been a long time since you have had a good tournament. Good luck this year.